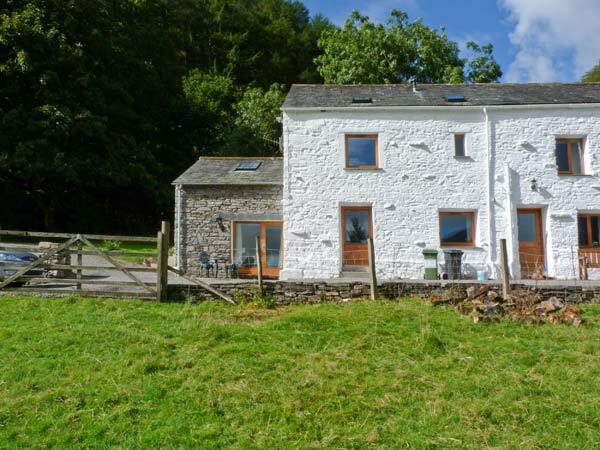 Wren's Nest is a charming semi-detached barn conversion situated on the edge of the village of Thornthwaite, four miles from Keswick in the Lake District National Park. This cottage sleeps two people in one double bedroom. The cottage also has a ground floor shower room and an open plan living area with kitchen, dining area and sitting area. Outside there is off road parking for one car and a front and side patio area with furniture. 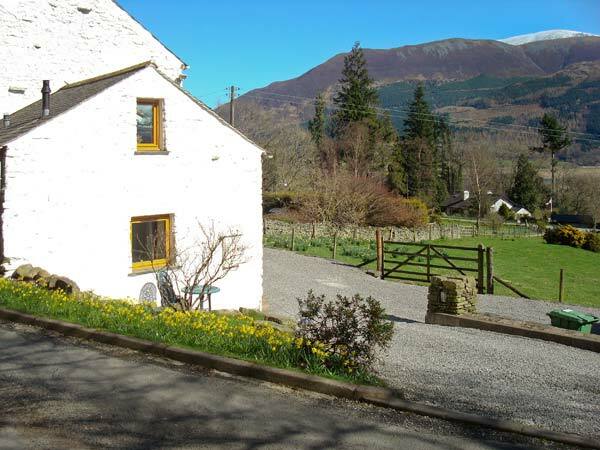 Wren's Nest is an ideal romantic base for walks, cycle rides, watersports, or simply a place to relax and get away from the hustle and bustle of everyday life. One double bedroom. Ground floor shower room with shower, basin and WC. Open plan living area with fitted kitchen, dining area and sitting area. Gas central heating. Electric oven and hob, microwave, fridge, TV with Freeview and DVD in bedroom, radio, WiFi. Fuel and power inc. in rent. Bed linen and towels inc. in rent. Off road parking for 1 car. Lockable bike storage. Front and side patio with furniture. Sorry, no pets and no smoking. Shop and pub 2 miles. Lake Bassenthwaite 10 mins walk. Note: This property has a low ceiling in part of the bedroom. Note: This property does not accept infants or children under 5 years. Note: WiFi suitable for browsing only. We also have details of 15 other similar properties nearby which might suit you.